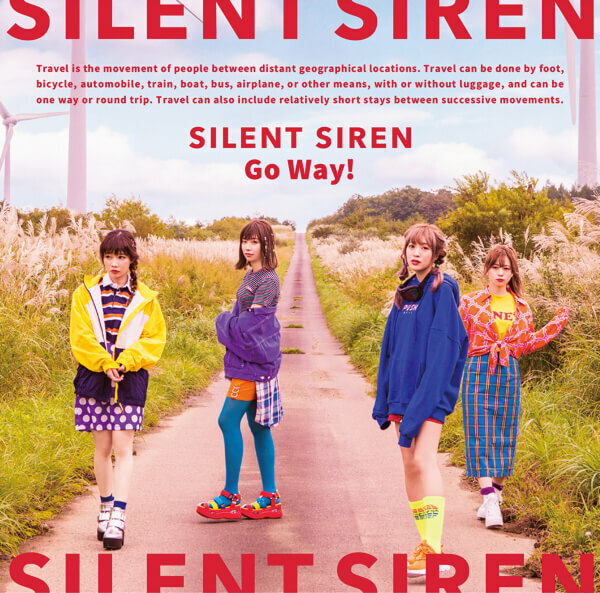 SILENT SIREN will launch a little teaser of their new single “Go Way!” on Wednesday 14th November – the same day they released their first ever single in 2012! 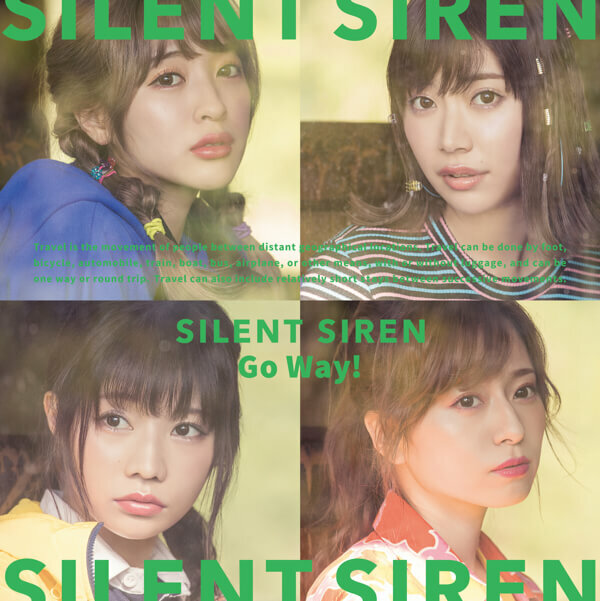 You can now listen to the short version of “Go Way!” an unlimited number of times for a set price. The song will be available on Apple Music, LINE MUSIC and other music streaming services. TV anime “Shinkansen Henkei Robo Shinkalion”, which is broadcasted by one of the most extensive commercial broadcasting networks in Japan every Saturday morning from 7am, is using Go Way! as an official theme song from today (6th October). This catchy pop tune gives the anime a more exhilarating and explosive impression! The video has also been combined with an anime promotion video, so please check it out along with the anime! As well as a new single, fans can also enjoy the new single artwork and a new CD jacket design. All the filming for this was carried out in Fukushima; the birthplace of the band’s vocalist/guitarist Sumida Yoshida (Suu). The persistent feeling of carrying on that is strongly felt in “Go Way!” and the nostalgic feeling of “Shinkalion railroads” is captured by the footage of old train stations. 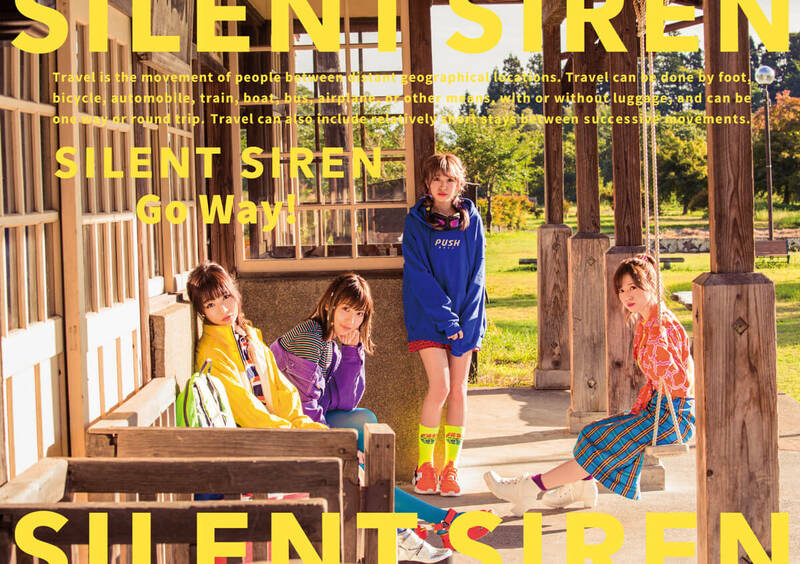 The video is like escaping from the anime world, featuring the band members in colourful clothes and the contrast with a nostalgic Japanese atmosphere. There are three different versions of this CD; the first-run limited edition version, standard edition (Shinkalion edition) and Fanclub edition – more information on new releases are still to follow! The first press limited edition version is a large package that contains a 12-page leaflet featuring an interview with the band members. Bonus content includes videos showing the filming of the “Go Way!” music video and footage of the photoshoot during which the photo used on the single jacket was taken. There is also a first-press version of the Shinkalion edition. The single jacket of the first-press Shinkalion edition is an original illustration of all the band members and even comes with an original illustration jacket sticker. The fan club limited edition version is the size of an EP and comes in luxurious packaging. It also comes with a 20-page special zine issue containing an interview with the band members. All previous issues have been highly rated! This also comes with an original postcard set of four. The DVD also contains footage of their “Sai Sai Member no Nigate Kokufuku” project that you cannot catch anywhere else. ※ The deadline to order the fan club limited edition version is 23:59 (Japanese time) on Sunday 14th October. In addition, from national holiday Monday 8th October, they will begin their Gakuensai tour. 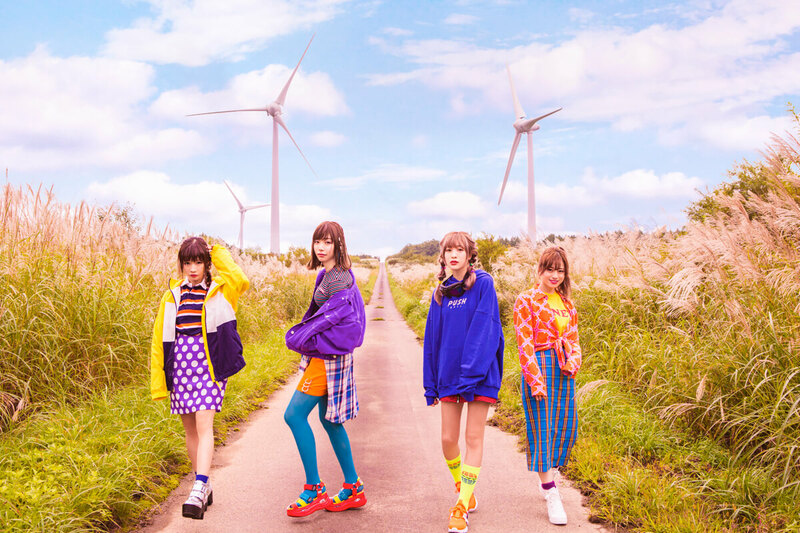 After the live performance, they will hold the “Forever Young Saisai After Party” (Issho Seishun Saisai Koyasai) where the band members will create many good memories. Songs included ※ Included on all versions. The standard edition (Shinkalion edition) includes an additional “Go Way!” karaoke track. Go Way! (Ending theme song for TBS-kei anime series Shinkansen Henkei Robo Shinkalion. ※ Shinkalion original illustration design CD jacket – first press edition only – band member illustration available. Also comes with a special sticker!